The ABBE Regional Library System is composed of libraries from a four-county region: Aiken County, Bamberg County, Barnwell County and Edgefield County. Additionally, the system that has a Bookmobile that travels throughout the region. 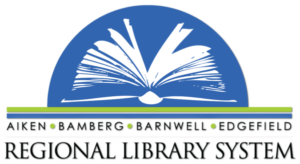 The Aiken-Bamberg-Barnwell-Edgefield Regional Library System exists to provide materials which communicate experience and ideas from one person to another. Its goal is to assemble, organize, preserve and make easily and freely available to all the residents of its service area the print and non-print materials that will assist them in their pursuit of education, information, research, culture, and lifelong learning. The Aiken-Bamberg-Barnwell-Edgefield Regional Library System has five library boards of trustees. Each of the four counties has a local board composed of members appointed by the appropriate county council. Two members-at-large plus the chairman of each county board also serve on the Regional Board of Trustees, whose functions include setting policy and hiring the director. Our Friends groups are member-supported, nonprofit organizations that advocate, raise funds, and provide critical support to the ABBE Regional Library System. For more information on joining or donating to a Friends’ group, please use the links provided below or contact the ABBE Regional Library Director, Mary Jo Dawson, at 803-642-7575. To view the different Friends groups associated with each county, visit this page.